Most people put their socks on every morning and go about their day. They never ponder the big questions. Like, when were socks invented? What did ancient socks used to look like? … Would I look good wearing ancient socks? If you’re one of those rare people who questions the little things in the world around them, then you’re in the right place. 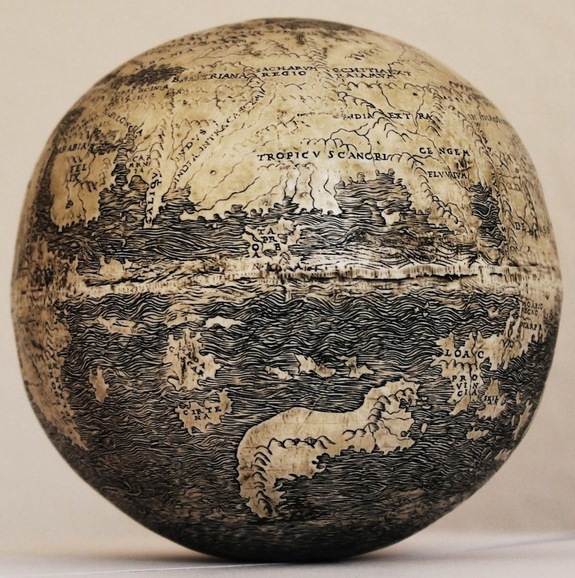 Check out this list of ancient everyday items, and get ready to have your mind blown. Spoiler alert, ancient socks were meant to be worn with sandals. 1.) Oldest Pair Of Socks. These bad boys date back to 400 AD, and were meant to be worn with sandals. 2.) Super vintage board game anyone? An Egyptian board game of “Senet,” dating back to 3100 BCE. 3.) No North America yet. 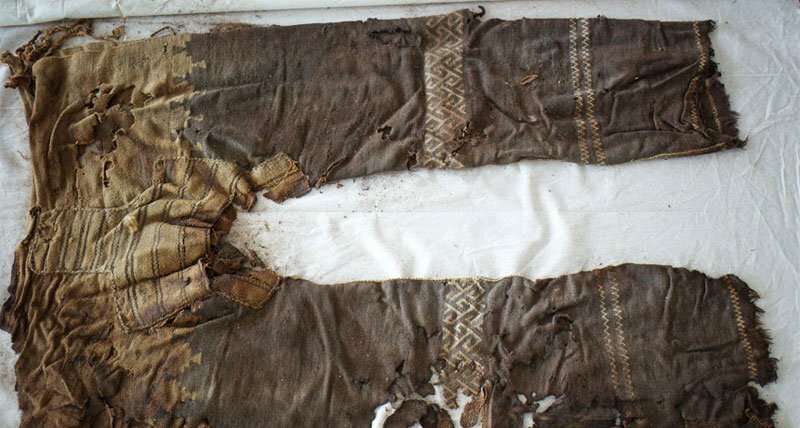 These pants are between 3000 – 3300 years old. They were found in a tomb in western China. 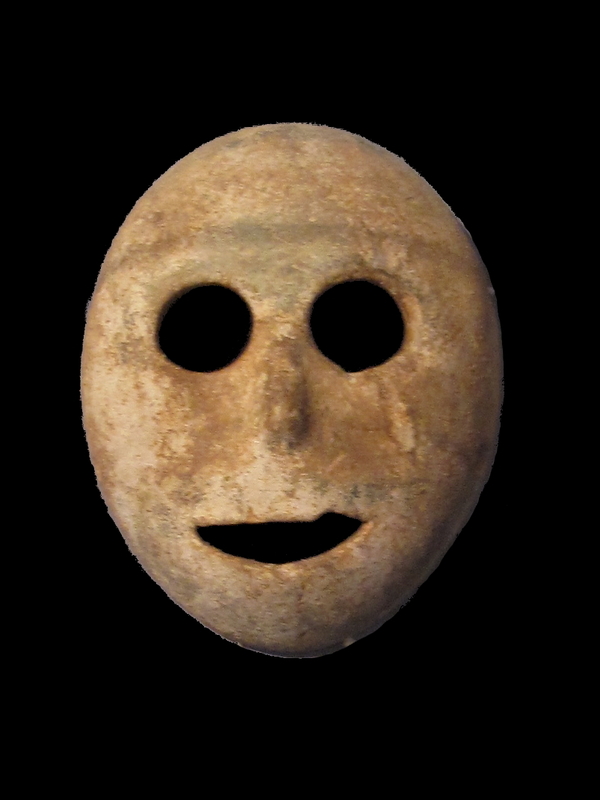 This freaking looking mask is from 7000 BCE. These clay tablets contain the oldest transcribed music in the world. They were found in Syria in 1972. This one dates back to 600 BCE. Also from Egypt. 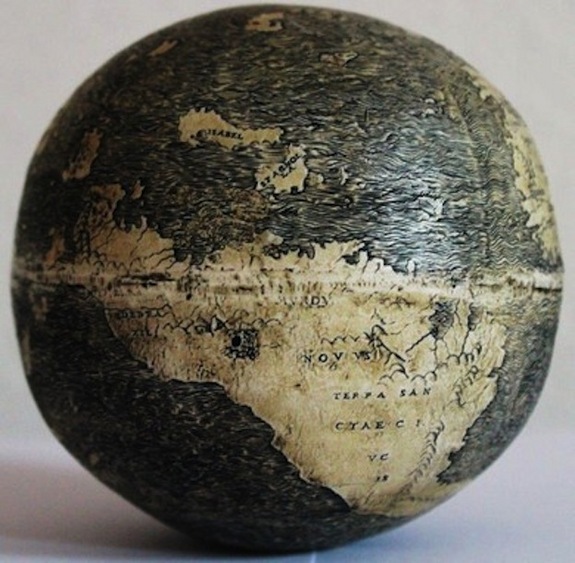 This object was found on a female mummy. 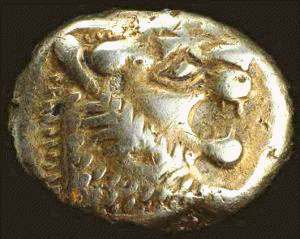 It dates back to 950 BCE. Made from a vulture bone, this flute is 35,000 years old. It’s a recipe for beer from ancient Sumeria. Researchers have dated it back to 3000 BCE. The created beer would be very strong and even have chunks of bread floating in it. Dubbed “The Lion Man,” this statue dates back to 40,000 BCE. It was discovered in southern Germany and is carved from a piece of mammoth tusk. Found in Armenia, it’s about 5,500 years old. Those ancient socks actually look pretty cozy, though I’m not sure I could pull off the socks and sandals look. Share this post on Facebook and see what your friends think of these ancient things.